For the 2018-19 school year, there are 7 top private schools in California belonging to the International Montessori Council (IMC), serving 753 students. 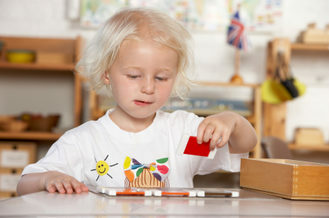 The International Montessori Council (IMC) is a world-wide umbrella organization of Montessori schools and the men and women who lead them, own them, or serve on their boards. Its focus is on issues of concern to Montessori school leaders: administration, curriculum development, recruitment and hiring, supervising teachers and staff, insurance, finance, facilities, working with boards, recruitment, building community, fund raising, public relations, and so forth.